For families struggling to make ends meet, a family portrait isn’t a top priority. 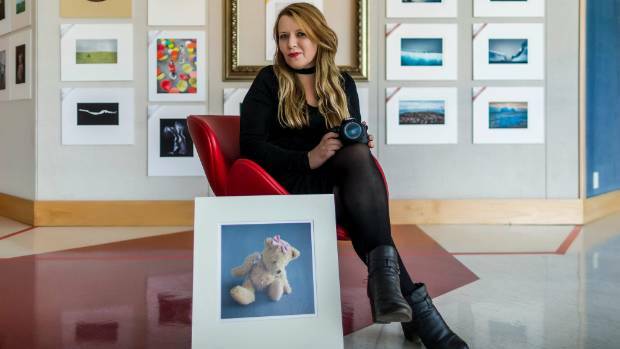 Student Jeni Berrett enrolled in the UCOL Bachelor of Visual Imaging in 2014 because she wanted to learn photography, hoping to shoot portraits of families living in challenging situations who otherwise may not be able to afford them. On Thursday afternoon, she was awarded a $1500 Jaycee Trust Scholarship that she will use to buy a camera to start the portrait project. Before enrolling, Berrett ran a children’s playgroup in her house for six years. She began taking photos of the children having fun and hanging the pictures on the walls. “I gave the photos to the families and it would make them really happy because they are just struggling to put food on the table. Berrett has also found ways to use graphic design and photography to help spread good messages. She has designed posters to encourage children connected to gangs to think about the choices they make in life, and tell them where they can go to seek help from abuse. She also did a photographic book with a body confidence message to build teenage girls’ self-esteem. Alongside study and community work, Berrett has also battled serious health problems, including having a tumour removed.